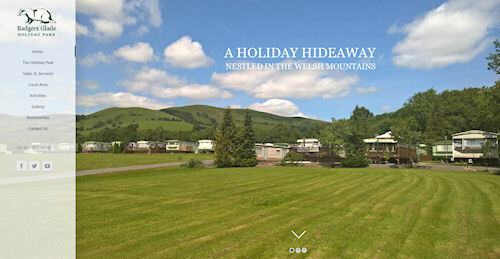 Based just outside Newtown in Powys Wales we have been building websites for over 20 years and specialise in content managed mobile responsive website design, web site promotion and maintenance of commercial websites throughout the UK. 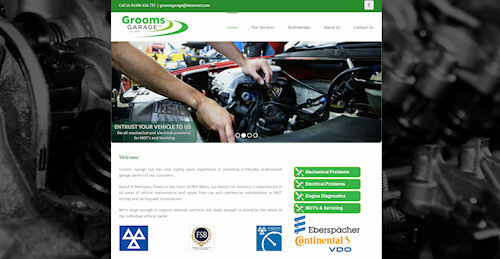 Our services include website design, e-commerce, hosting, domain name registration, search engine optimisation (SEO), maintenance and support, essentially this means whatever the size or type of business you are we are able to develop an effective web presence from concept to launch and also handle all the internet based marketing of the website. As all of our website builds are content managed we can do as much or as little as you require and are always on hand to help. Our client list includes national and international franchise operations, large international groups, small to medium enterprises and sole traders. Just a selection of business types we work with include the following sectors: Public Houses, restaurants, cafes, individuals, holidays, security, leisure, property, construction, IT, finance, human resources, retail, aerospace, musicians, charities, child care, engineering and more. We have worked on many projects over the years and across many business sectors from here in Mid Wales to nationally and even internationally stretching all the way from the United States to Thailand in the far east. Why not take a look at a selection of our recent work and please don’t hesitate to get in touch should you require a quotation or would like to have a chat through the project you have in mind. 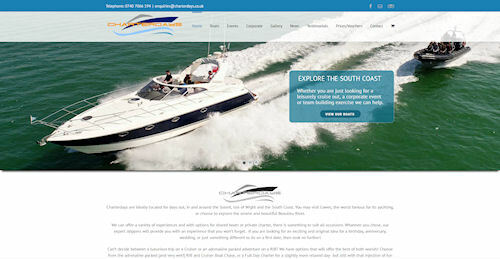 We have years of experience in designing, refreshing, creating, maintaining and promoting websites and know what works and what doesn’t whether your looking for a simple business brochure style presence, a full e-commerce sales site or an accommodation booking system we will have a solution that can take your project from start to finish and into the future with maintenance and marketing services. 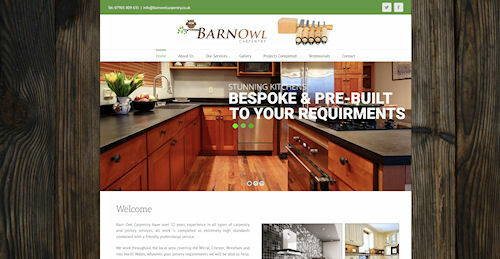 We offer a full web site design service which will take your project from concept to completion with continued support and promotion, delivering websites that convert visitors into sales. Driving the success of your website will be our marketing services from search engine optimisation, link building, social media and email campaigns which will keep you in front of your customers. All our sites are content managed so you can do as much or as little as you like but when you need any help or advice we are always on hand to point you in the right direction or carry out the work for you. 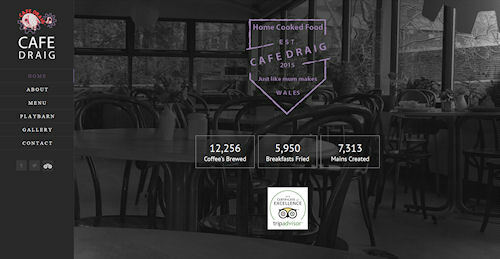 Websites have to look good, this we all know, it must inspire confidence in the user to making a booking, buy a product or simply get in touch, with this in mind we look at aesthetics, functionality, marketing, calls to action and visibility all of which at the same time are necessary for a website that works well. E-commerce websites also require everything a brochure style website requires but the focus shifts to product sales and to achieve this the navigation, search facilities and product presentation must be excellent, take a look at any major online retailer, they keep things simple and clear. Looking for a place to stay means driving the user to the information they require, allowing them to easily check availability and make a booking online right there and then, its imperative that the booking process is simple and easy to follow in order to drive up visitor to booking conversion rates. All of our websites are content managed so updating or changing them is easy for you to do and some clients do, others however prefer us to make any changes for them and that of course is no problem at all, most updates to websites are completed within a couple of days. Having a stunning website is obviously great but search engine visibility is vital to drive users to your products and services, to this end we offer a full range of website marketing packages from on page optimisation to social media and email marketing campaigns (SEO). Social media marketing is a driving force when it comes to getting in front of customers and building links to your website, we can help with advice, set up or even run entire campaigns for you, all SEO and social campaigns are tailored to your companies individual requirements. Email marketing is a great way of staying in front of your customers, generating repeat business and securing new sales, bookings or contacts via targeted email campaigns which can be automated and tailored to your customer base therefore increasing online revenue streams. As part of our website design services we of course also offer a domain name registration service and high performance, reliable hosting platforms to suit your requirements from simple five page brochure style websites to full high traffic e-commerce driven sites. Technical and maintenance support is offered via email, telephone and in person where required and we aim to answer all emails within 24 hrs and carry out any updates or maintenance with 48 hrs, we are always on hand to help. We offer a full range of website design services, domains, hosting, search engine promotion and social media marketing that will see your project through from concept to launch and beyond with our ongoing support. 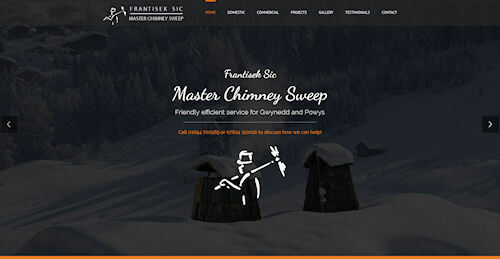 We work for companies across the UK, locally the nearest main towns are Welshpool, Newtown, Llanidloes, Aberystwyth, Dolgellau, Barmouth, Machynlleth and Shrewsbury. 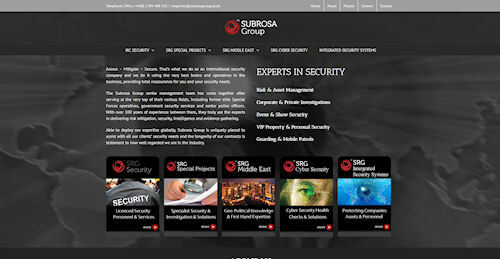 161 London – SEO for this high end property developer in London. 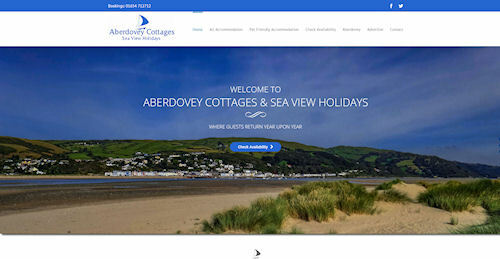 Aberdovey Cottages – Holiday cottage lettings and booking system in Aberdovey. Thank you for your interest please don’t hesitate to get in touch should you require any help.